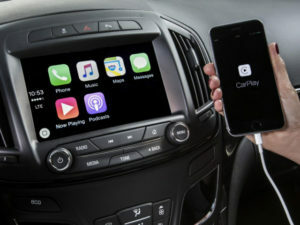 Smartphone mirroring – such as Apple CarPlay and Android Auto – is increasingly influencing vehicle choice, with a growing trend of drivers using smartphone apps instead of the car’s own software. Research from consultancy company Strategy Analytics found 84% of drivers in Western Europe were interested in Android Auto, while Apple CarPlay was rated the same by 85% of respondents. Of those, 25% and 29% respectively said smartphone mirroring was an essential feature. Both systems enable drivers to access a pared back version of selected app – including messaging and maps – via the vehicle’s built-in screen. Most drivers also said they would be prepared to pay extra for for the technology, and the report said many reported that they use these systems rather than the vehicle manufacturer’s own software. The report, titled Consumer Interest for In-Car Smartphone Mirroring is Almost Universal, is available here.